TME's offer has been enriched by RSD-30 and RSD-60 series DC/DC converters from MEAN WELL. These converters are a new addition to the well-known RSD series. Introduction of new output power levels is a response to railway applications market needs. – resistance to humidity and dust. Wide range of operating temperatures (-40°..+70°C) and high vibration resistance (5G) are also important. The above features were achieved through applying additional protective coating on the PCB board. 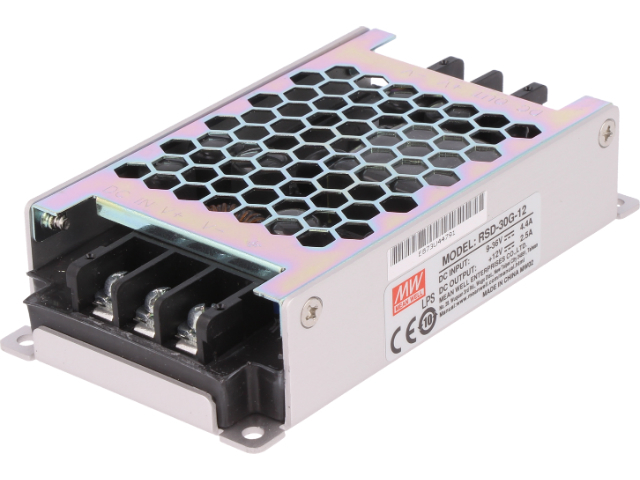 RSD-30 and RSD-60 series DC/DC converters have various applications, e.g. they can be used in public transportation (railways, underground, trams, buses), powering wireless communication systems (Wi-Fi, Telecom), and in each place with difficult working conditions such as vibrations, temperature or humidity. Check out RSD-30 and RSD-60 series DC/DC converters from MEAN WELL in TME's offer.